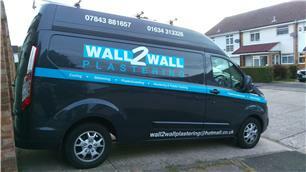 Wall 2 Wall Plastering - Plasterer based in Rainham, Kent. I started my company in 2009. An experienced and professional plasterer with a great reputation. I also do any wood work from building walls to hanging doors, skirting etc. I pride myself on my attention to detail and quality workmanship at competitive prices. Give me a call for a free no obligation quotation.